The Axor Montreux 42036000 Toilet Paper Holder with Cover has the ultimate design if you are looking for a coordinated and stylish accessory for an authentic-designed bathroom. 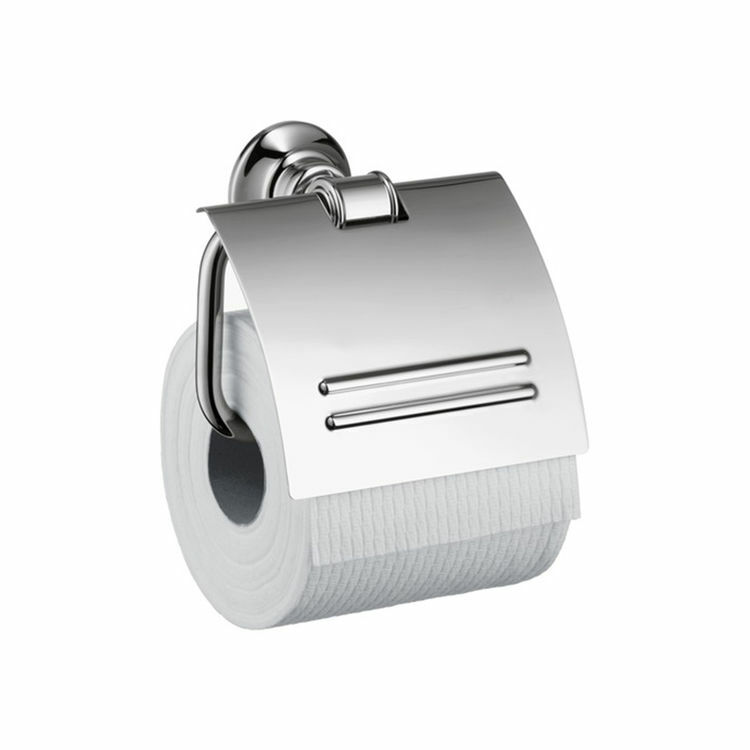 This Axor Montreux Toilet Paper Holder has a chrome finish that is guaranteed not to corrode or tarnish. This product blends well with other bathroom features. The Axor Montreux Toilet Paper Holder has a brilliant and innovative design, a great addition to spruce up your bathroom. It comes with a 4 cover, making sure that your toilet paper stays dry and ready to use. This design makes this small bathroom auxiliary something to celebrate! This product ensures a lifetime of use and will timelessly provide that sleek and classic brilliance that you desire. Mounting accessories are provided for a sturdy and permanent installation that it does not wobble at all. More details are available in the specifications sheets. Axor Montreux is a collection of sophisticated early 20th century bathroom collection. Axor has been behind the beautifully designed quality showers, faucets, and other bathroom fixtures since 1901. Shipping Dimensions 7.1" x 5.9" x 3.3"